Due to arcades now being extinct practically, the idea of travelling to your nearest one, which could be rather far seeing as a considerate amount have closed down in the UK alone, and playing on an old arcade machine doesn’t exactly sound like fun does it? However, now because of the easy accessibility of investing in your own arcade machine, people are loving the idea of creating their very own games room full of them. 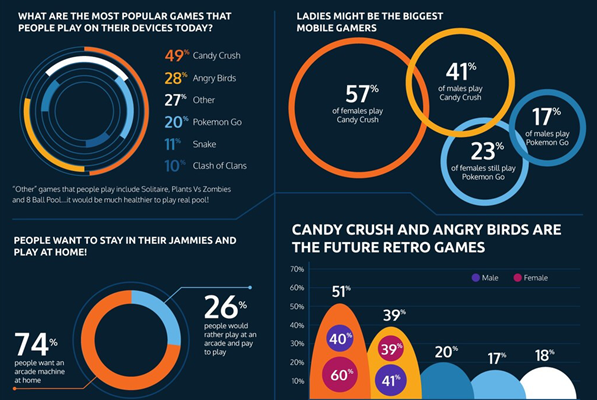 In fact out of the 1,500 gamers Liberty Games surveyed,74% of them wanted their own arcade machine at home so they didn’t have to travel to the nearest arcade and they could stay in their pyjamas whilst playing. By leaving the machines coin operated you could use the machine as a piggy bank, a way of saving money. By playing a couple of games a day, you’ll have saved way over a grand after just a year! Vintage and retro furniture is back in fashion right about now, you’ll be on top of the newest style if you invest in a fun arcade machine. Invite some of your friends round and have a retro game night! Not just friends and families, but children will also find hours of entertainment in your home. Although, they might have a difficult task trying to get the game-loving adults away from the machine!By having one, it’ll keep the children occupied giving you adults some private time in peace. You could also have some family fun competition nights as well – as a way of bonding. To make your machine more personal you can add your own touch to it by customising it to fit your own style.